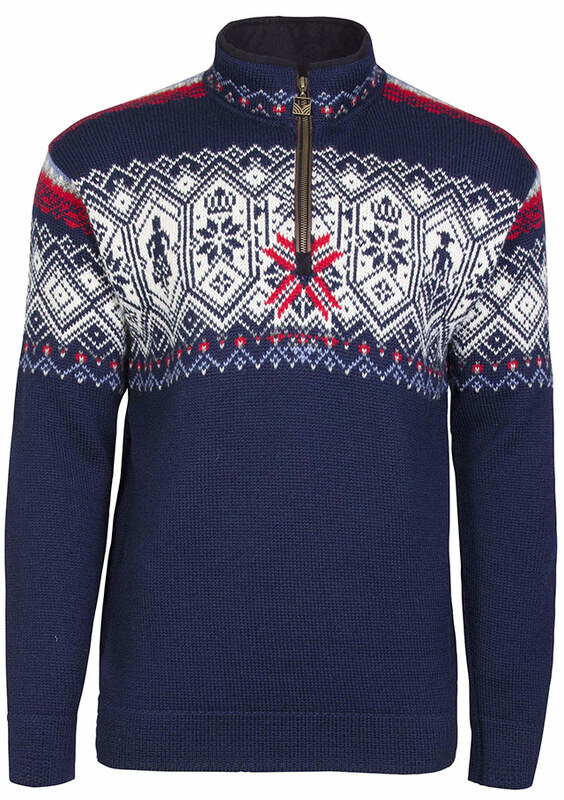 The iconic Norge (Norway) sweater represents Norway in all aspects. 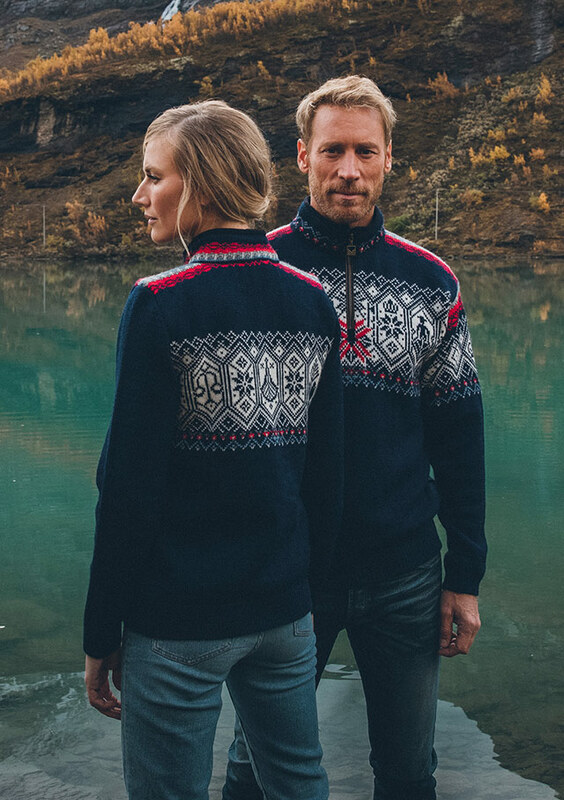 The pattern includes several elements telling the history of Norway, all combined into a beautiful traditional sweater design. It is knitted by Dale in Norway with 100% Norwegian wool, known for its extremely long-lasting quality that can last for generations. 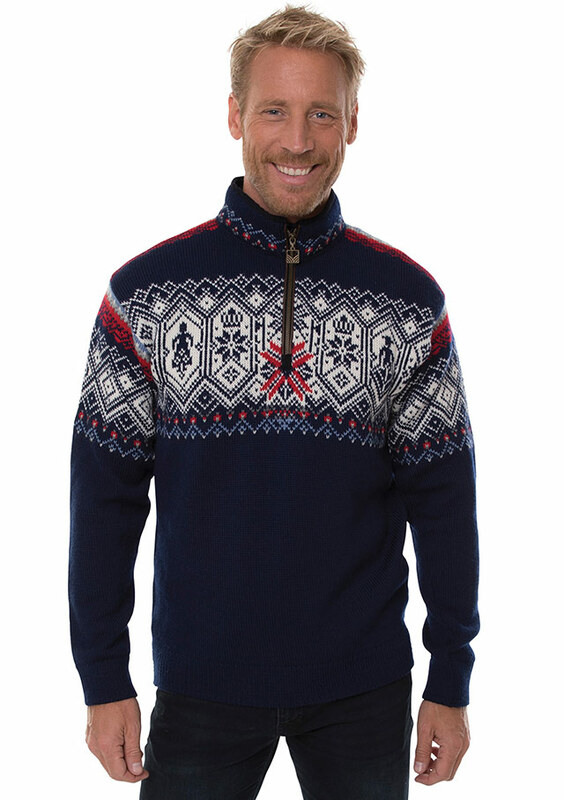 The sweater has elk leather details along the zipper and a special Norge patch. A Norge hang tag brochure explains all the design elements. 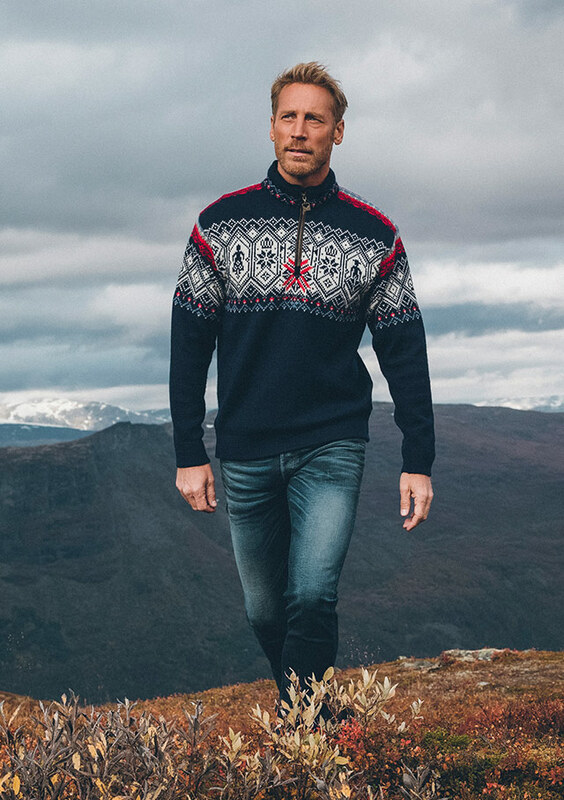 Dale of Norway NORGE MASCULINE Sweater available at Jourdain.